*This post may contain affiliate links. The use of these links support the mommy in SPORTS site and our family. It’s hard to believe it’s been nearly a month since Lila turned 5, and I just finished her thank you notes today. As we were going through the list, I was so impressed with how thoughtful and creative the gifts were that she received. So I thought I’d share a list of some of her favorite presents, plus a few things I love to give newbie 5 year old! 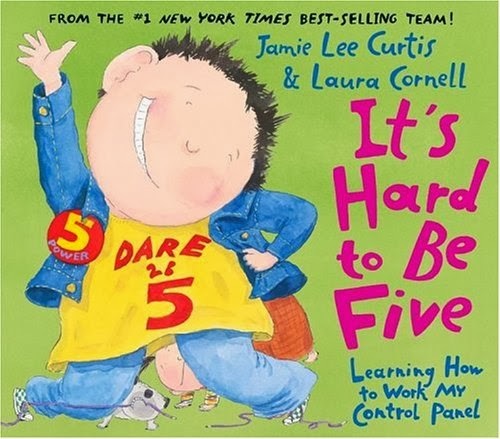 One of our new favorite books is written by actress Jamie Lee Curtis, It’s Hard to Be Five: Learning How to Work My Control Panel . She’s written a slew of other wonderful books, (including Big Words for Little People ) but this is one we read often. It’s getting Lila ready for Kindergarten, and helps little ones understand the transition of growing up and not being a baby anymore. Highly recommend this for any kids you know turning 5! Book series are awesome gifts as well. 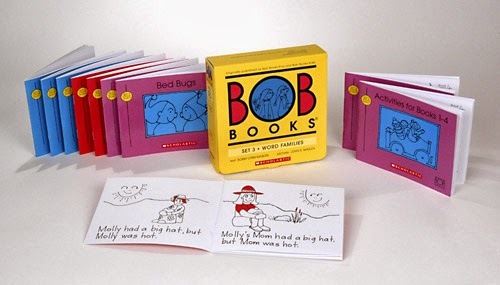 We use the BOB Books (Lila’s on this level Bob Books Set 2-Advancing Beginners ), which are great for teaching word families. And my friend Katy loves the Usborne Very First Reading Series for her daughter Samantha. She told me “The stories are well written, funny and engaging. My daughter loves these books and really looks forward to not only the bonding of story time, but the challenge and reward of puzzles at the end of each book.” They also teach reading comprehension, which is key for elementary school. Another great gift we received were these intricate Cinderella Legos, officially called LEGO Disney Princess Cinderella’s Dream Carriage . (In case you want to check them out!) I was skeptical at first of the little pieces, and the fact the box said for ages 6 -12. But sisters Darcy and Cassie nailed it when they chose this gift for Lila. She loved putting them together…and it was a great activity to do with her dad. We will definitely be buying more of these! 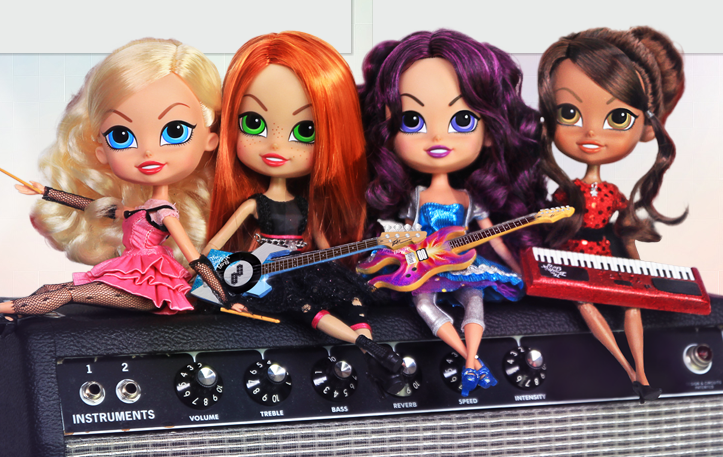 Dolls are big business in our house, you can never have enough…especially rock star The Beatrix Girls! This new line of dolls was one of the hottest trends this past holiday season, and the company was kind enough to send me not one, but two dolls for both my girls. I gave the blonde, Ainsley, to Lila for her birthday, and she really liked this 12 inch, well-constructed doll. Bonus, Ainsley came with a VIP Pass so we were able to listen and download their original songs. Yes, they play music and have videos! 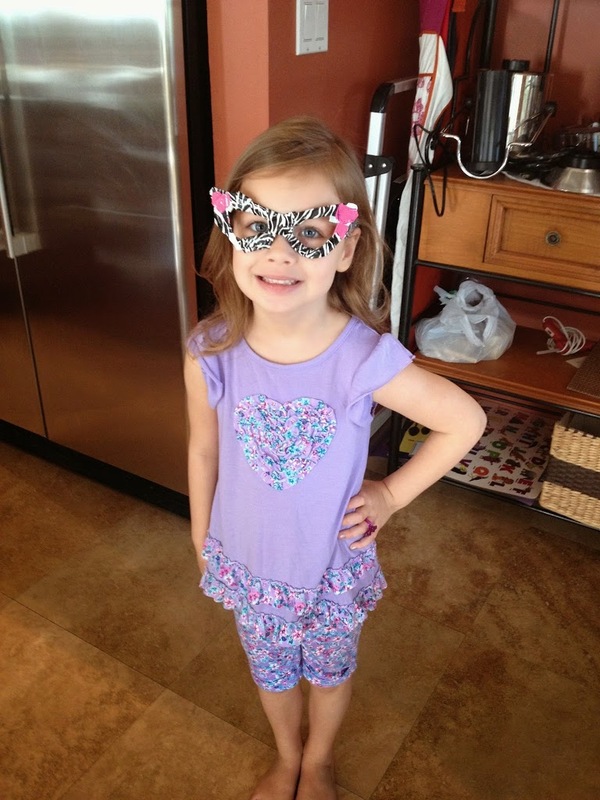 I actually heard Lila singing one today…pretty catchy! If you are as tired of Frozen and other Disney Princesses as I am, check these out. Lila also received a Lalaloopsy Loopy Hair Doll too, which both girls are gaga over. They love playing beauty shop. My 2 year says over and over “mommy, braiding hair!” As long as it’s not my hair…go for it Emy. 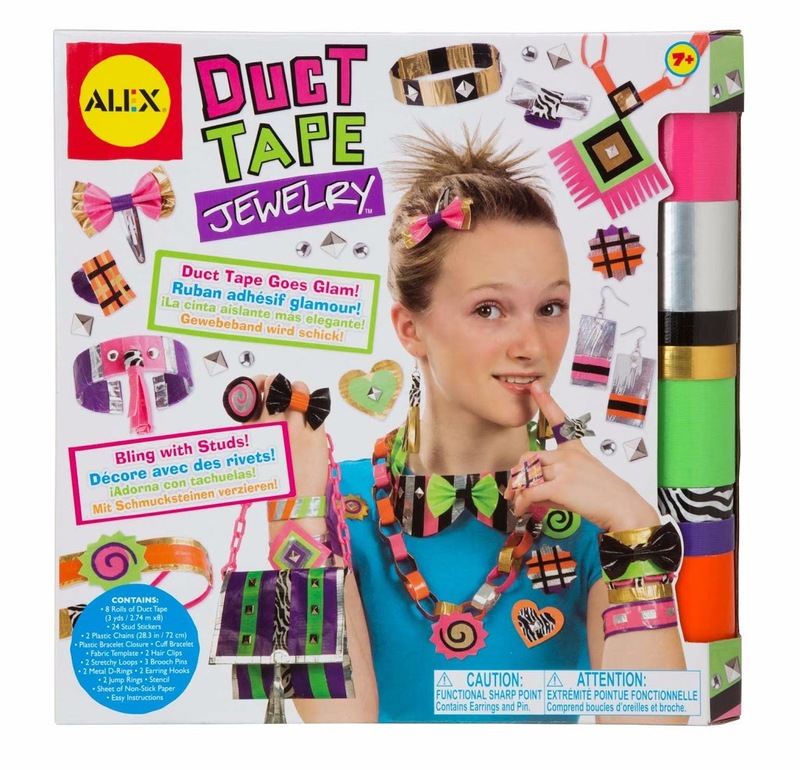 This particular kit was from ALEX, called Duct Tape Fashion . But she also received some really cool canvases with paints, and cute activity and sticker books. And don’t underestimate the power of bingo dabbers. Kids love art, and so do parents! She also received lots of Frozen jewelry, clothes, gift cards, and dolls…we really were so overwhelmed by the generosity. My favorite gift of all though was a simple journal with a special pen. This was given to her by a school friend and she loves it…calling it her “big girl gift”. Lila writes pretend cursive in it, makes lists, and draws. This was something special she’ll have for awhile, and I’m so glad that she appreciated everything she received. Hope this guide gives you a few ideas in your quest to entertain a budding Kindergartener! what is your favorite gift for this age group? Hi Kristen! this is Georgia. I love your header. So cute! I have two girls also- lots of purses and baby dolls over here. 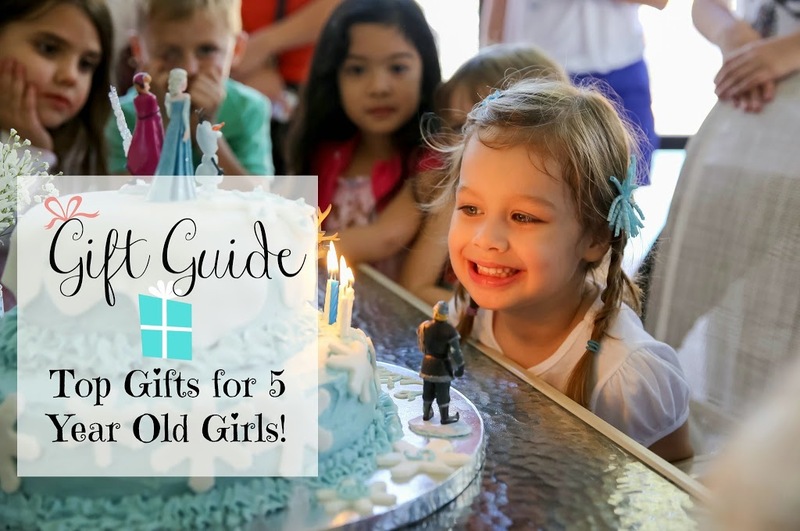 And what a great idea to have a gift guide for an age! I may follow suit (My oldest is only 2 1/2). I never know what to buy kids in different stages and know other people feel the same. Even with my little baby I’ve forgotten what gifts went over the best with my first daughter. I have a 5 year old daughter, and all I can say is YES to all of these! Found you via All Things Thursday. Thank you For listing books first! As a teacher and a mom, I really appreciate that! Thank you for showing the Princess Cinderella’s Dream Carriage. I’ve been on the lookout for gifts as my daughter is coming up on 5. 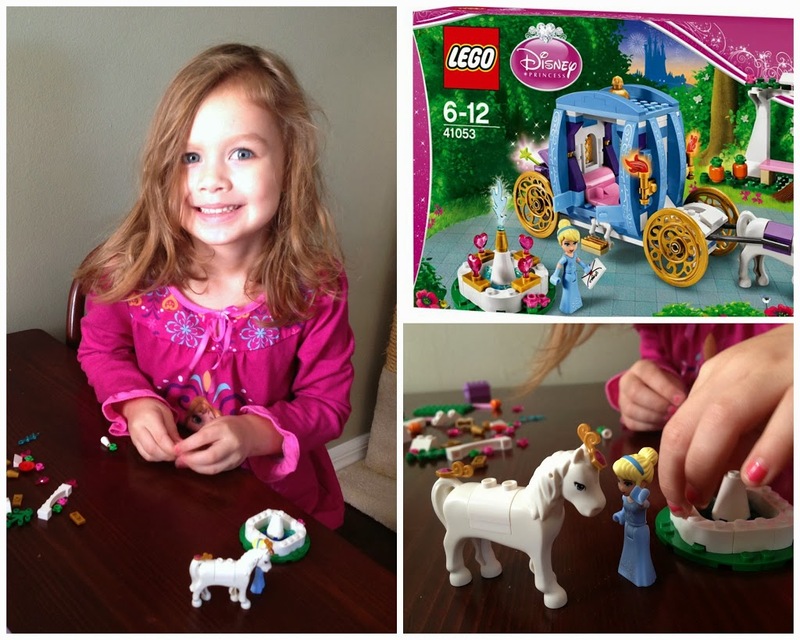 She loves playing Legos with her brothers and adores Cinderella. That would be a perfect present for her! Great list Kristen! These kind of posts are always so helpful for those of us that need to buy gifts for kids that are different ages and genders than our own. Great round-up. Thanks for linking up to Sweet and Savoury Sunday, stop by and link up again this weekend! Love these ideas!! I especially love the Legos – we love Legos around here. Pinning and stumbling – this is a great post!